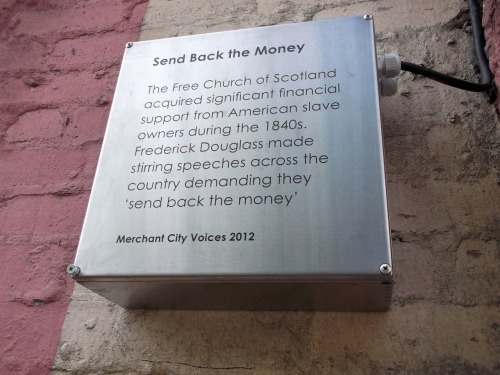 As part of the Merchant City Public Pilot Art Programme, author Louise Welsh and architect Jude Barber of Collective Architecture have collaborated on a series of soundscapes exploring Glasgow’s involvement in the tobacco and sugar industries, and contemporary responses to the system of forced labour that it depended on - the transatlantic slave trade. 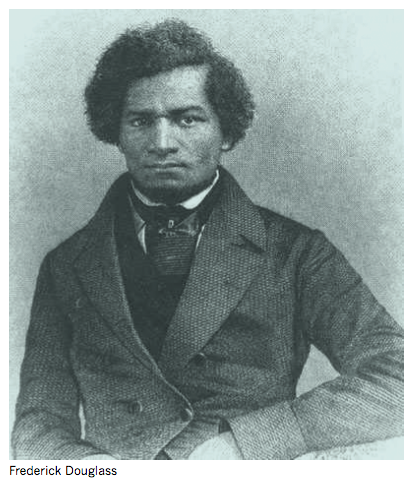 The sound installations draw on writings by Frederick Douglas - a freed slave, and also imagine the viewpoints of the city merchants, slaves and abolitionists. 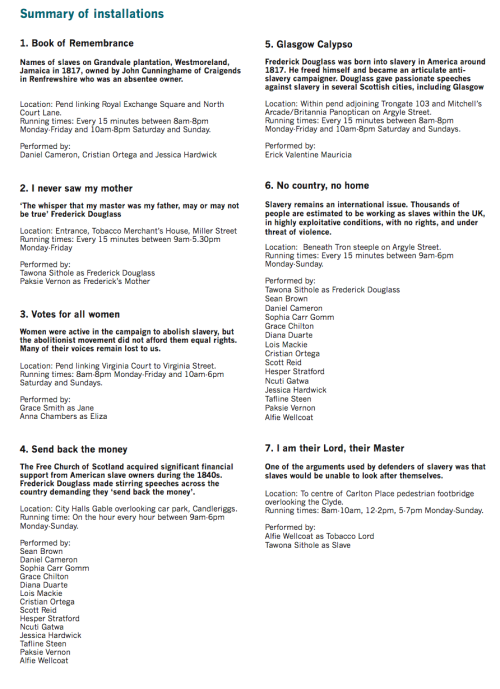 Each of the buildings and sites where the soundscapes are located were built with wealth generated by forced labour or associated with abolitionism. 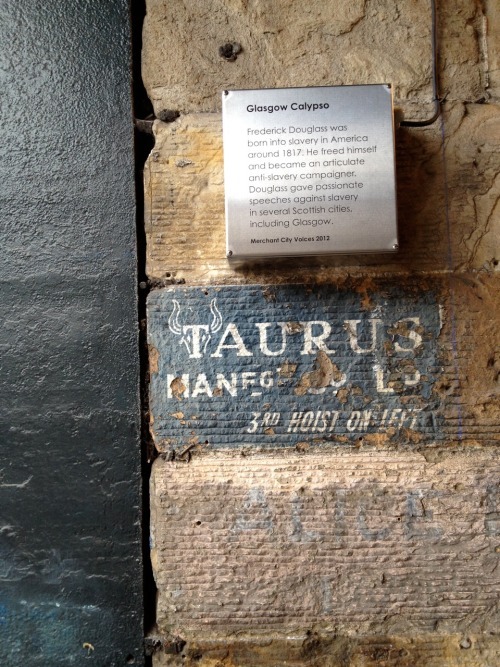 The project was commissioned by Glasgow City Council and has been recorded with the help of professional actors, and students from the Royal Conservatoire of Scotland. Technical design and installation was carried out by sounds and light company Northern Light. A map can viewed online here twitdoc.com/191J . Tour maps are also available from: African Caribbean Centre, Merchant City Festival Information Hub, Trongate 103 and the City Halls Box Office.